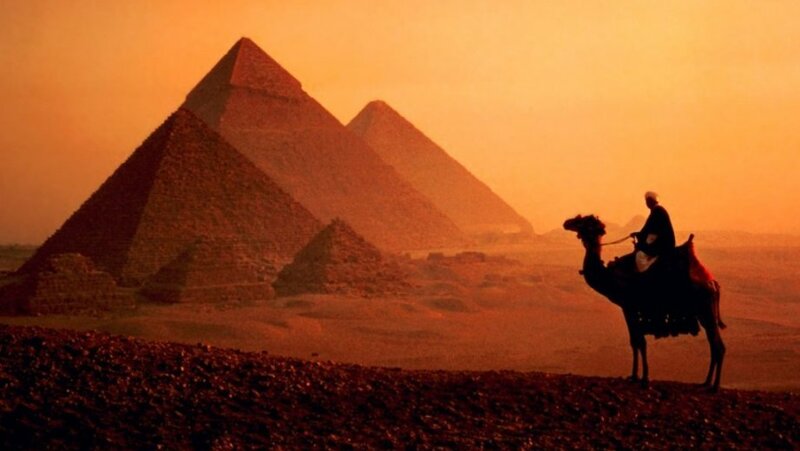 Nearly 5,000 years ago, outside the ancient city of Memphis, Egyptians built pyramids as tombs for their kings. These monuments are still standing today in the city of Giza. Zoom in to explore them. A sight to beholdThe Pyramids of Giza are some of the oldest and most fascinating structures on Earth. Built thousands of years ago, they stand as a testament to the engineering accomplishments of civilizations past. Take a journey through time and discover these ancient wonders. 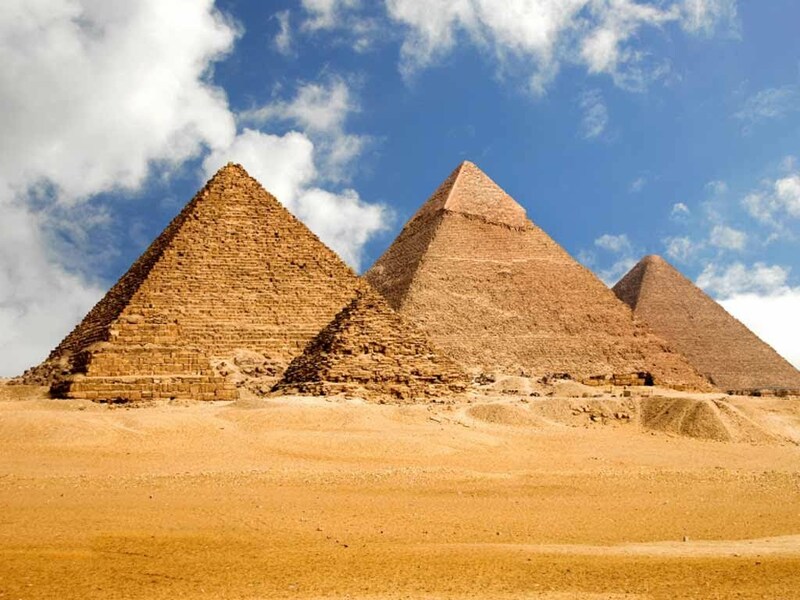 What is a pyramid?A pyramid is a shape with triangular sides that join at an apex on top. 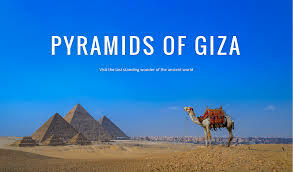 There are over 100 pyramids in Egypt, most of which were built as tombs for pharaohs, although none are as recognizable as the Pyramids of Giza. Pyramids can also be found in other parts of the world, including Italy, India and Mexico. The Pyramids of GizaThe Pyramids of Giza were built 4,500 years ago during the Fourth Dynasty, Egypt’s golden age. They took roughly 85 years to construct and were built by three generations of Pharaohs: Khufu, his son Khafre and grandson Menkaure. Their tombs are flanked by three smaller Queens’ Pyramids. Building the PyramidsNo one knows for sure how this ancient society built monuments so massive. Building the pyramids involved transporting enormous stone blocks to the Giza Plateau, then using ramps, pulleys and levers to stack them at perfect angles. Tens of thousands of paid laborers (not slaves) built the Great Pyramids, which are more technically advanced than the earlier step pyramid style. Close to the capitalThe Pyramids were built on the outskirts of the old capital, Memphis, and now stand a short drive from Egypt’s current capital, Cairo. While this is convenient for tourists, their close proximity to this growing city has created challenges for the Pyramids, including noise, light and air pollution.